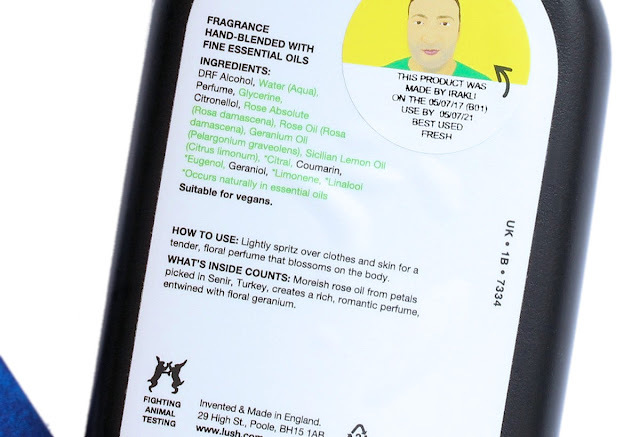 What about new Lush products for this fall? First some new Body Sprays: Twilight (lavender oil, tonka absolute, Ylang Ylang Oil ) and Rose Jam*. I got Rose Jam and it is described as follows. 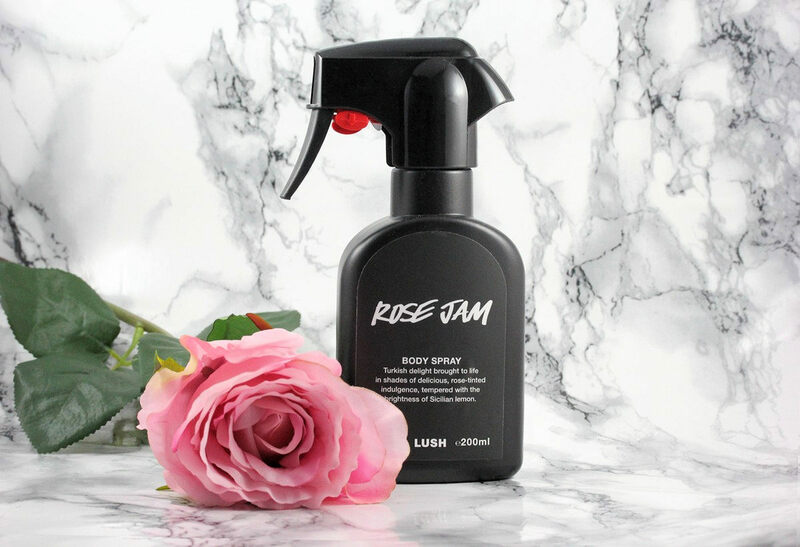 "Blooms of fresh rose and succulent geranium combine to create this rich, romantic delight. 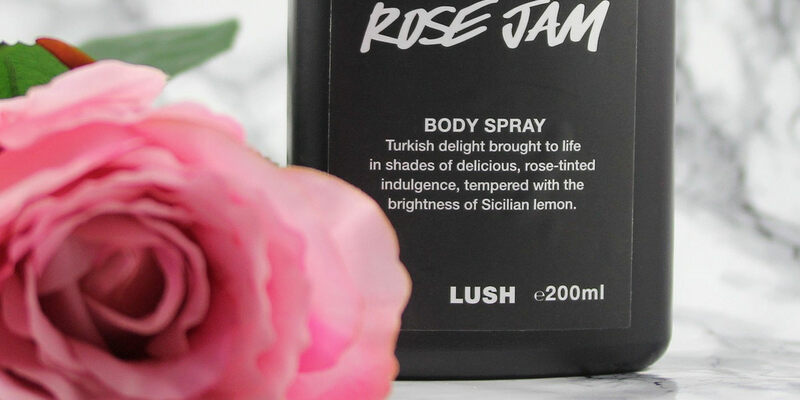 Jam-packed with indulgence, every spritz exudes sophistication. Moreish rose oil from petals picked in Senir, Turkey, blossom on your skin while a touch of lemon cleanses the palate. Allow this rich, floral aroma to adorn your skin in soft, sweet perfume." 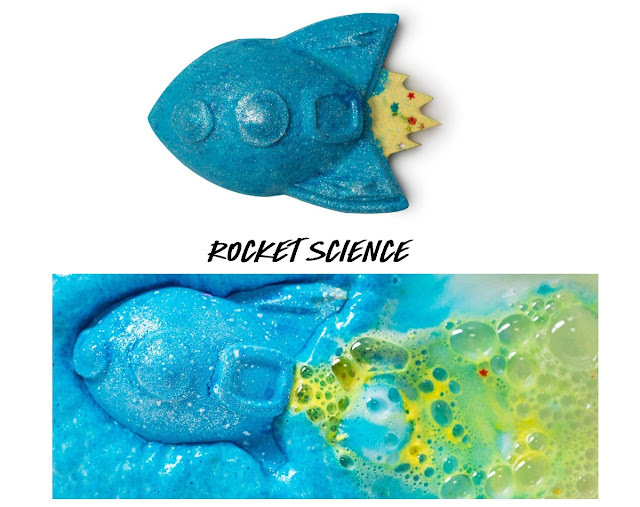 There are 2 new bath bombs: Cheer Up Buttercup* and Rocket Science. An old (and slightly odd) British childhood game states that if you hold a buttercup under your chin and it glows yellow, it means you love butter. You don't need to hold this cheerful bomb to your skin to know you love bathing! Bring the sunrise into your bathroom by dropping this fizzing treat into a bathful of warm water. Bright lemon myrtle, zesty lime and uplifting neroli will have you skipping down the street with a big smile on your face. 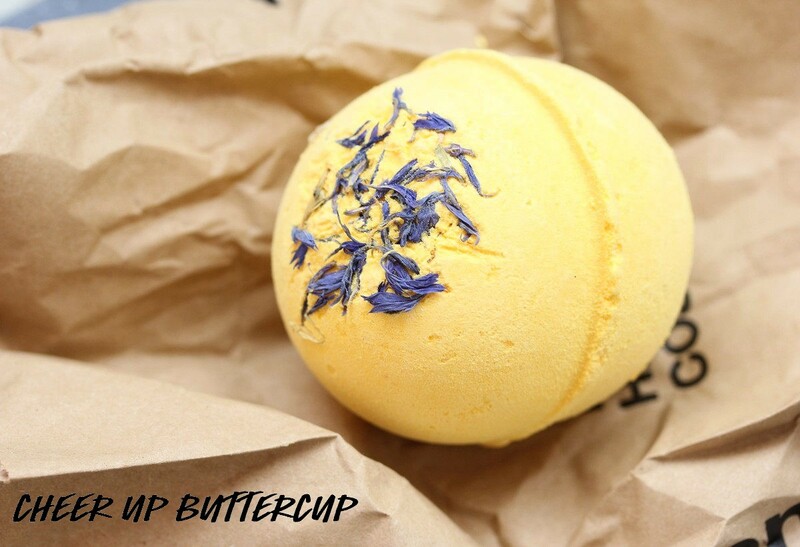 It has a very citrusy scent which is pure delight and an amazing way to cheer you up and help wake up your mind! Sincerely love that fresh and delicious smell! And the flowers add a nice touch! If you like lemon scents, this bath bomb is for you! And it also leaves the skin super smooth and soft. I find it highly moisturizing, probably because of the cocoa butter it contains. Might well be one of my favorite bath bombs! 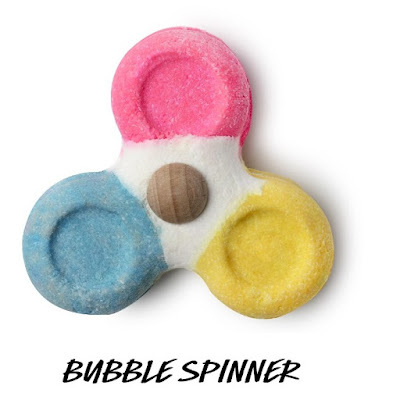 If you're feeling a bit fidgety, grab this foamer and have a fiddle in the bath. Hold under running water for bubbles of lemon and lime for brighter moods and clearer minds. Spin away your worries and allow the piles of citrus bubbles to soak up your cares. When you're done, place it on the side and allow to dry out ready to spin on another fidgety day. Jelly Bath Bombs are the new generation of bath bombs. Imagine a bath bomb which turns water into jelly. 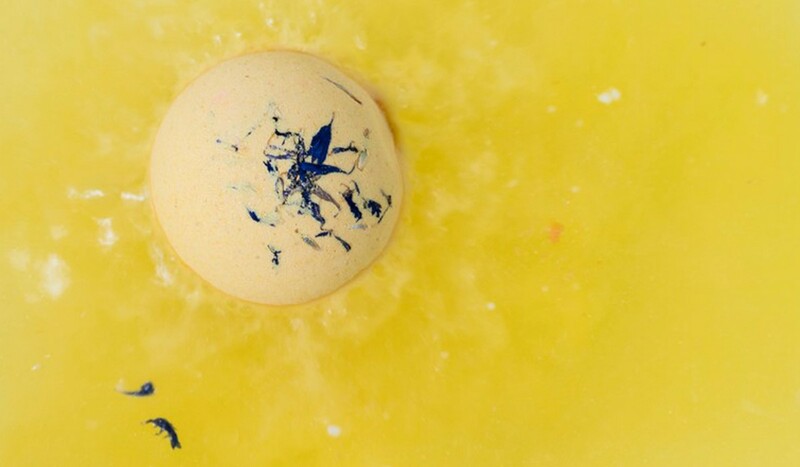 They are an ongoing pursuit for extraordinary colours, textures and shapes to surprise and bewilder in the bathtub. A category in their own right, as they bob and fizz Jelly Bombs release a spectacular jelly made from sodium alginate, which comes from a mineral-rich seaweed. Aside from being wonderfully entertaining, this gooey jelly is superbly softening and soothing on the skin. In Switzerland, the Jelly bombs are available only on www.lush.ch. Those bath bombs looks amazing, I'm pretty sure if I get my hands on these bombs my kids will attack them be I do. Great review dear. Thanks, beauty <3 The bath bombs do look so cute! I have never tried the Jelly bombs, need to try them! 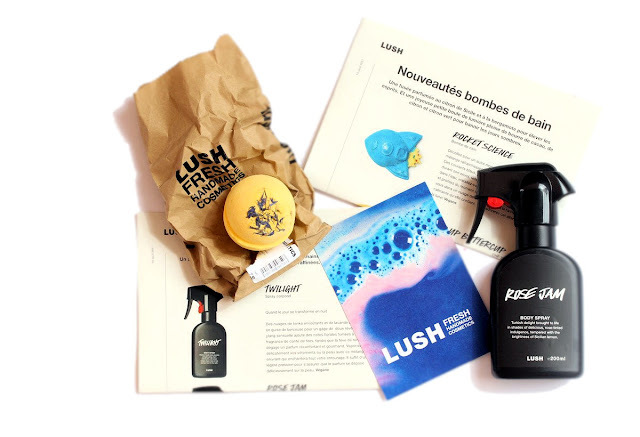 I love Lush products, they are always so much fun with such great smells. I'm very keen to try those bath jellies! Exactly! I like the fun factor and the delicious smell, too! These jellies seem to be popular! I haven't tried the jellies yet but I guess it should be OK. I've read a couple of reviews but nobody mentioned any issue. But that's a good question! I'll let you know if I try! I loved everything you shared in this post! 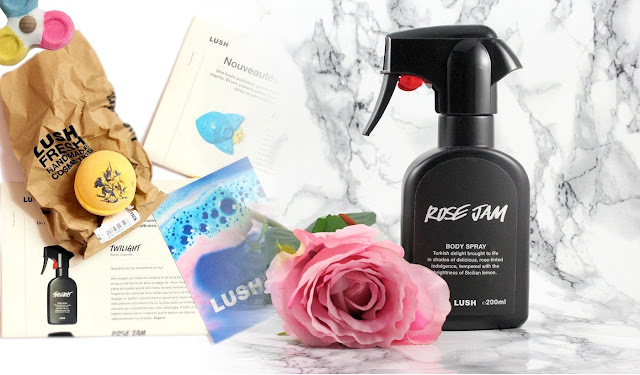 The body spray sounds amazing, and I'm already a big fan of Lush's bath bomb, but jelly bath bombs sound even better! Will have to see what we have available in the US store. Thanks for sharing! Thank you, happy to hear you liked it! I can't wait to try those Jelly bombs! !